The University of New York in Prague is located in the very heart of Prague, in the downtown Vinohrady district. 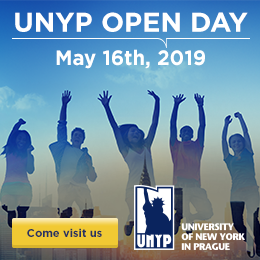 You can get to UNYP easily by using Prague Metro line C, station I.P. Pavlova, or Prague Metro Line A, station Namesti miru. There is also very good accessibility via tram numbers 4, 10, 11, 13, 16, 22, 51, 56, 57, 59 or bus number 291.